SPOILER ALERT: In case you haven’t seen the movie yet, this might spoil one little part of the movie for you. Just a teeeeeeeeny-tiny little part. I don’t write movie reviews. Hence, this isn’t one. Quite often I come across little blink-and-you’ll-miss-it moments in movies that make me wanna stand up in the middle of an over-packed movie hall and scream out “DIDJYA SEE THAT?!”. But to my fellow movie-goers’ utter misfortune, I don’t. And they miss out on some of cinema’s most spectacular moments purely because they blinked when they shouldn’t have. 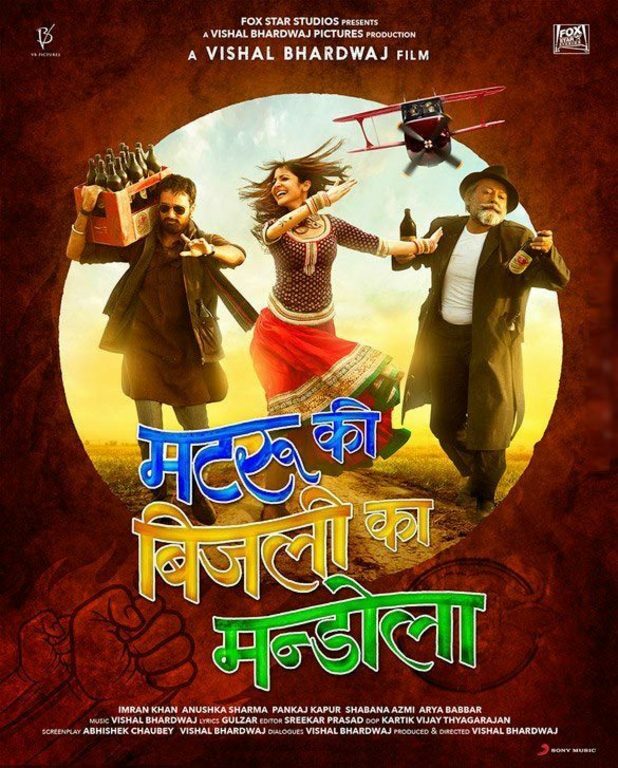 And I have a strong feeling that those of you who’ve seen Matru Ki Bijlee Ka Mandola might have missed what I thought was, well, clever. In the movie, when the villagers’ harvest gets spoilt the morning after it has rained, there’s this intense, emotional, almost melodramatic sequence where you see villagers crying over their harsh luck. The background score gives this sequence apt support. It’s your typical sad saxophone playing somewhere in the background. In this sequence, there’s a shot of the door that leads to this temporary store-room where the villagers had stocked up their harvest the night before. The door, if I remember correctly, is open and you can see a pool of water collected inside, and some of it streaming down the stairs. On one side of this short flight of stairs sits a man, gamcha in hand, crying over the harvest, and the land he’s about to lose. What you might’ve missed, however, is the man on the other side of those stairs. Not meant to be in the limelight, our man sits there playing his saxophone, literally giving you the background score for this entire sequence. Yep, he’s actually sitting there in the same frame as our gamcha-clad villager, the door, and of course, the water. So the details might be a weeeee bit off [I haz goldfish memory], but our man with the saxophone is definitely in there somewhere. Let me know when you spot him.